Attack of the 50ft Robot! is a free action game set in a 1950s B-movie. 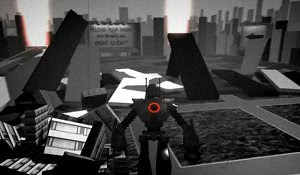 Unleash your inner robot and destroy everything that stands in your way. It was developed by students at DigiPen Institute of Technology over a period of fifteen months. Attack of the 50ft Robot! uses NVIDIA\'s PhysX.